Trade Finance Guide Helps U.S. Businesses Compete, Now en Español! 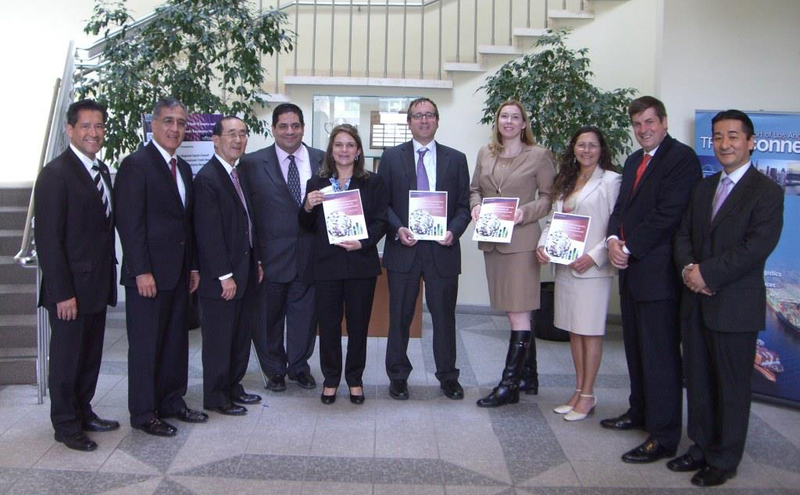 The inaugural Spanish language version of the Trade Finance Guide was released at the May 8 “Trade Connect” workshop held at the Los Angeles Area Chamber of Commerce. On May 8, the U.S. Department of Commerce’s International Trade Administration unveiled the first Spanish language version of the Trade Finance Guide: A Quick Reference for U.S. Exporters. The Guide is a simple and effective tool designed to help U.S. small and medium-sized enterprises (SMEs) learn the best ways to get paid from export sales. Now that the Guide is also available in Spanish, it can better help U.S.-based Hispanic and Latino companies compete in global markets. A “60-minute” self-learning tool for new-to-export SMEs that wish to learn how to benefit from export sales. A user-friendly tool for international credit, banking and trade finance professionals, as well as export counselors for client assistance. A flexible educational tool for professionals teaching international business. The Guide uses a no-nonsense approach to make it easy to understand appropriate payment methods and trade finance techniques when dealing with international transactions. There is a quick rundown of the pros and cons of each potential payment method, helping new-to-export companies pick the best method for them. The Trade Finance Guide has become one of the most popular export assistance resources published by the Commerce Department. The U.S. Census Bureau says Spanish is the primary language spoken at home by approximately 35 million people, a figure more than double that of 1990. The number of Hispanic and Latino-owned businesses, most of which are SMEs, increased by 44 percent to 2.3 million, more than twice the national rate between 2002 and 2007. These businesses generated $345 billion in sales in 2007, up 55 percent from 2002. As the growing Spanish-speaking population continues its entrepreneurial growth, the Spanish version of the Trade Finance Guide will help their businesses enter into the global marketplace. The Guide will also help other American businesses work with buyers in Spanish-speaking markets, helping all U.S. businesses expand their exports. The Guide’s Spanish language version was made possible through partial funding from the California Centers for International Trade Development and in collaboration with FCIB and the Commerce Department’s Minority Business Development Agency.